Moon Palace Golf & Spa Resort, Palace Resorts’ signature property, is the entertainment and family-friendly hub of sunny Cancun. The AAA Four Diamond property recently went through a $100 million renovation that included a Flowrider ® double-wave simulator; The Playroom with multiple rooms for the little guests (an Xbox room, mini runway and spa, etc. ); a teens’ lounge dubbed Wired; renovated restaurants, and so much more! When it comes to parents, the hotel’s 14 restaurants, 11 bars and lounges, and year-round world-class acts like Usher, REO Speedwagon and Kansas are ideal! But, the best part is that guests who book five nights or more, always get $1,500 resort credit that can be used for spa treatments, special dinners, tours outside of the property, golf, and numerous other activities. The hotel is currently offering a Kids Stay Free Promotion, too. This promotion is valid for children under 12 years of age and for travel between June 1, 2015 and August 31, 2015. During that time, kids stay, eat, and play for free! How can you go wrong? 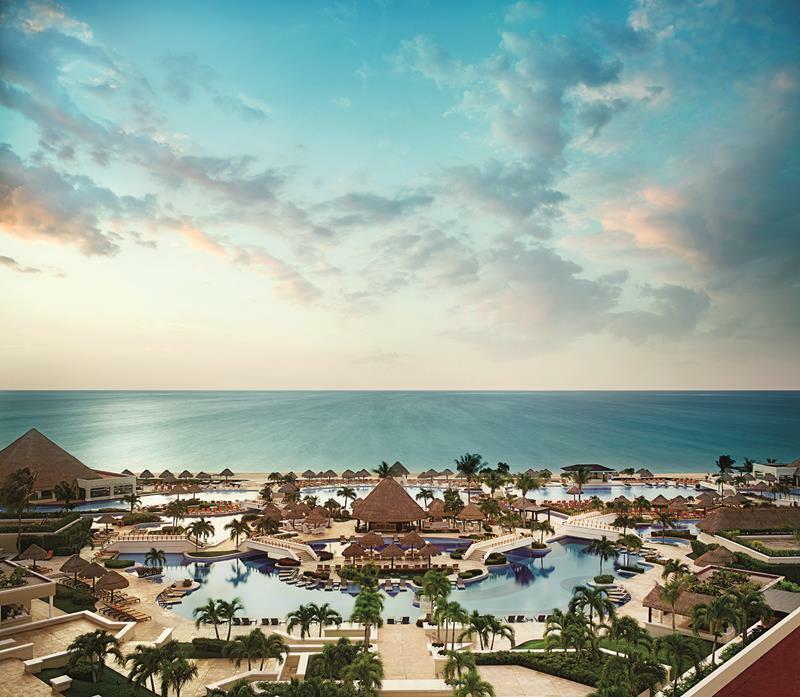 Ready to take a closer look at this amazing resort in world-famous Cancun? Then take a look at these 10 stunning pictures! 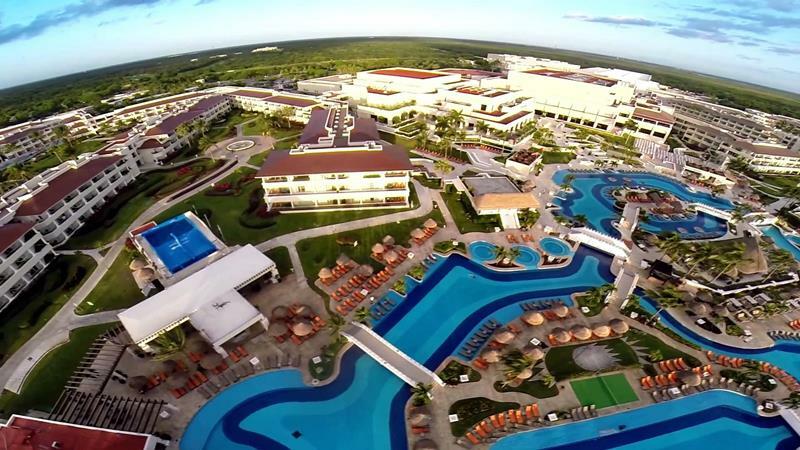 As you can see, the Moon Palace Golf & Spa resort offers everything you’d expect from a world-class Cancun resort. 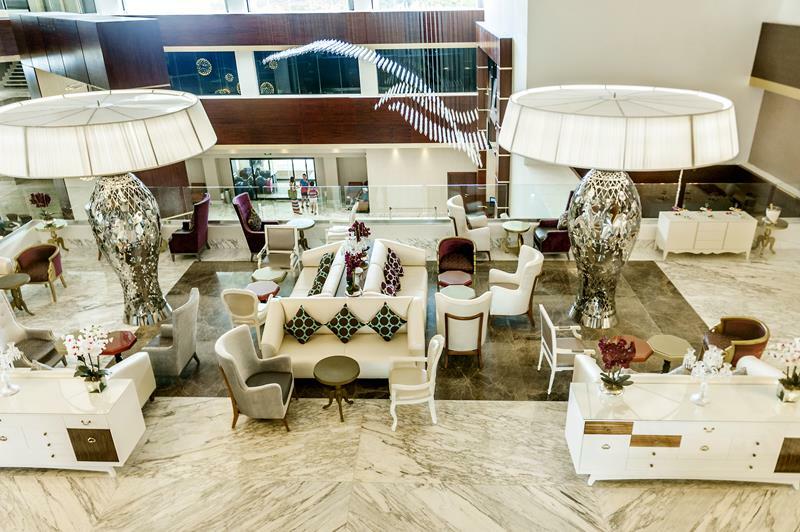 For a hint as to how luxurious your stay will be, just take a peep at the resort’s grand lobby. 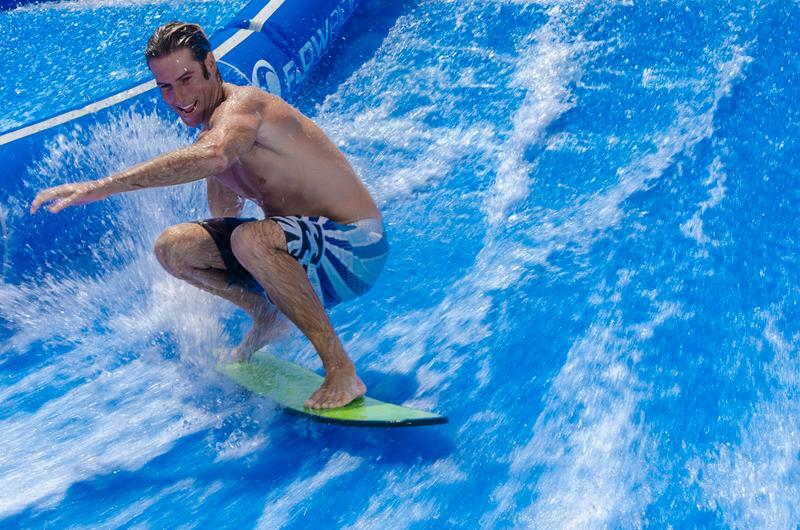 One of the coolest additions that the resort has made recently is the Flowrider wave simulator, where you can learn how to surf! 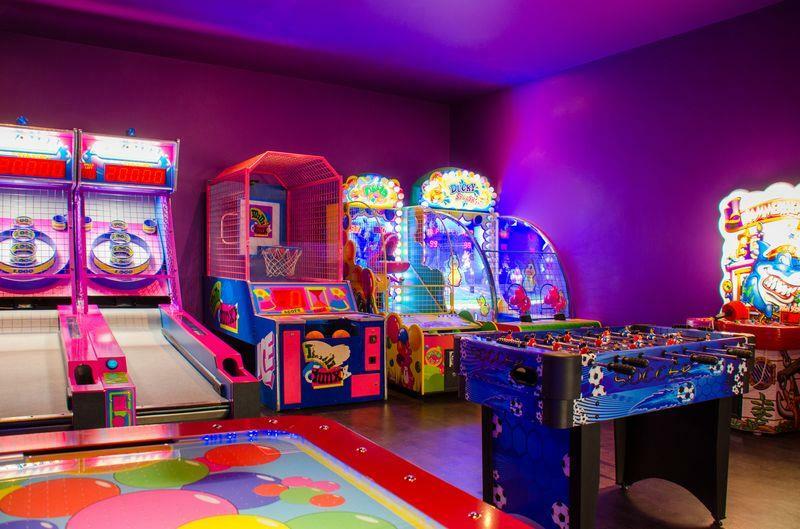 Even a grown adult might be tempted to spend sometime in the Kid’s Club, which offers plenty in the way of entertainment! 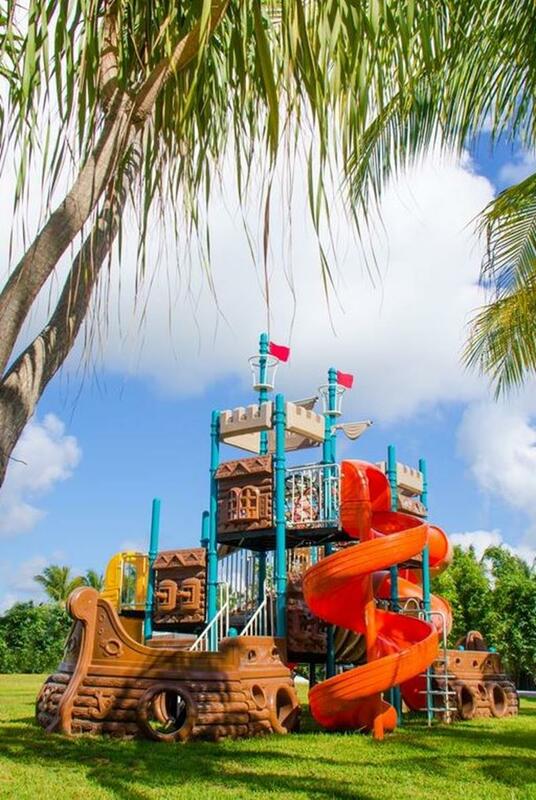 The Kid’s Club also features an amazing outdoor space, where the little ones in your party will enjoy playing in the Cancun sun. 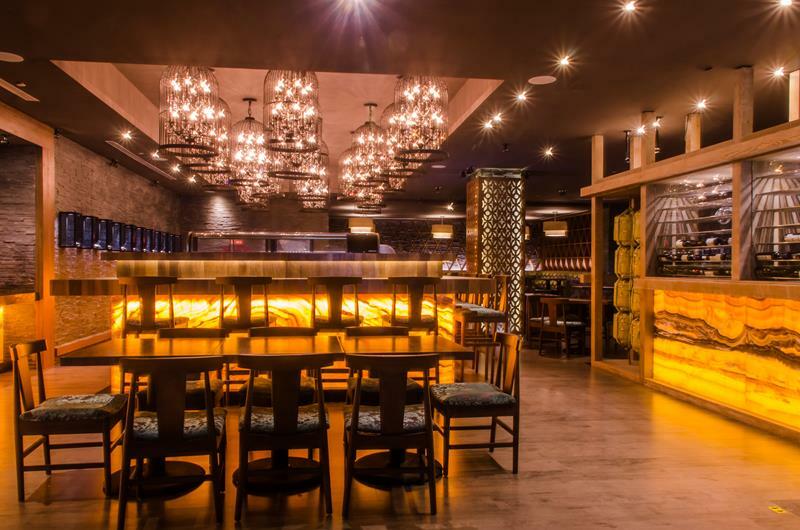 The environment of MoMo, one of the resort’s signature eateries, is every bit as delicious as the cuisine it serves. 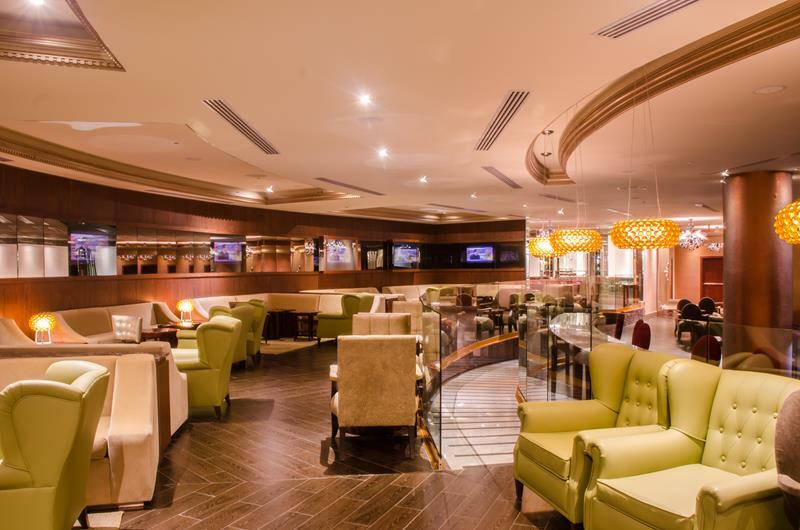 For a few appetizers and more than a few cocktails, you’ll want to head over to the Sky Bar. 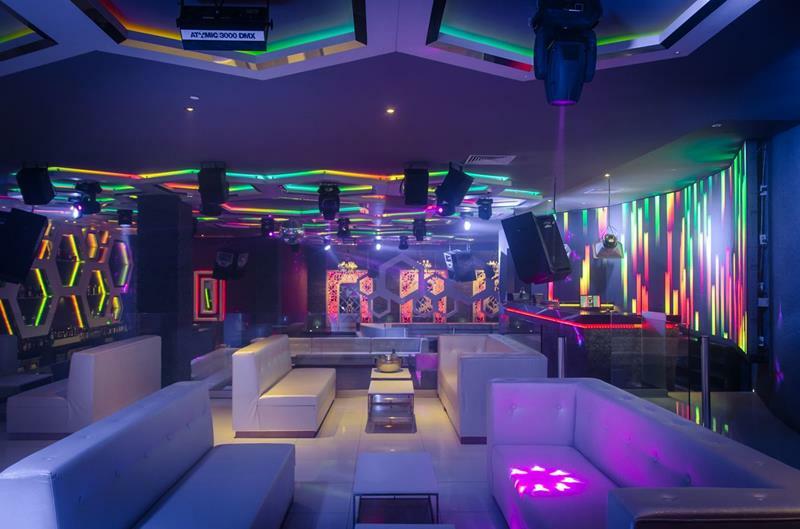 If you come with just your special someone, or get manage to escape the kids, you’ll definitely want to check out the Noir nightclub! If you’re for accommodations that offer plenty of space for your family and an incredible view, check out the Grand Villas. 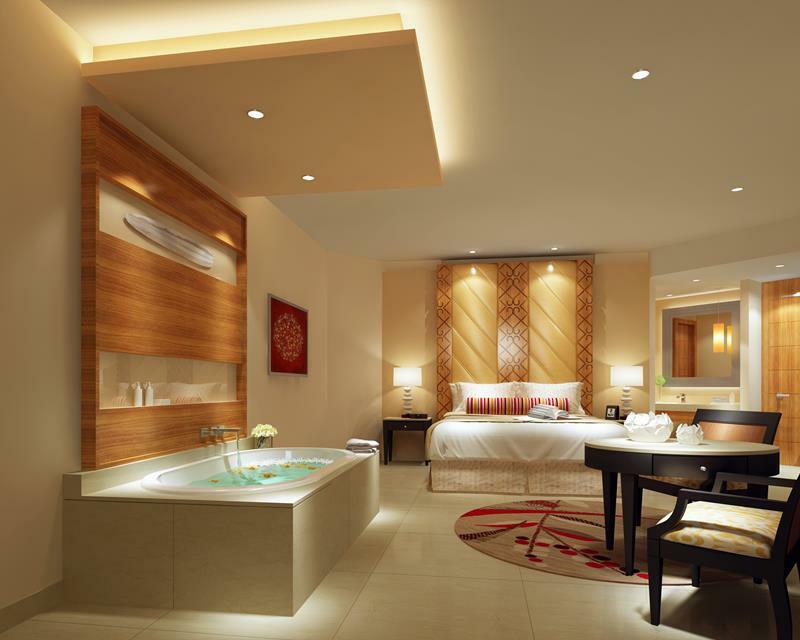 When it comes to luxury accommodations at this already amazing resort, you can’t do better than the resplendent King’s Suites!